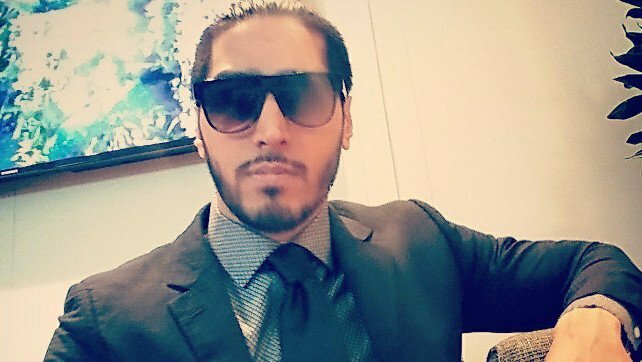 WWE Superstar Mustafa Ali was this week’s guest on the Talk is Jericho podcast. Ali opened up about his rise to WWE’s main roster, his relationship with Daniel Bryan, & revealed advice given to him by WWE CEO Vince McMahon. I just kind of showed up and the second week I pinned WWE Champion Daniel Bryan. Yeah, rocket right on the back. I have no idea how or why, but here we are. I didn’t know anything. I’ve been working 205 Live since its inception and it wasn’t that Vince was ignoring the product, it was just that it was 205. The situation with us is we’re always put in tough spots, but he does see and he does hear about it and I’ve had conversations with him about me, about 205, so it wasn’t that he wasn’t aware, like all of a sudden he was like, ‘Who the hell is this guy?’ Literally, I come to the arena and initially it was like, ‘Hey you’re not working 205 tonight,’ and I knew that because I was talking to the writer before. I was told, ‘You’re going to have a few weeks off. We just don’t have anything for you on TV for 205.’ I’m thinking that I’ve got the next three or four weeks off and that probably at the start of the new year, I’ll be doing something. I kind of just show up to TV just to hang out and they go, ‘Hey, you’re working SmackDown tonight.’ I go, ‘Oh, OK,’ and they go, ‘You’re working Daniel Bryan and you have a promo with him too and it’s three segments.’ I’m like, ‘OK,’ and I’m kind of blowing this off. He goes, ‘No, I’m being serious. They need you right now. Go!’ I’m like, ‘Is he confusing me for somebody? What is going on?’ Then I found out – and that day I’m told, ‘Hey this is just a one time deal. We just want to see what happens with it. This is a one time deal. We’re gonna give 205 the rub. Bryan wants to work with you.’ I was obviously honored and I went out there and I did my thing. I was told it was a one time deal and show up to TV next week, ‘Hey, when you get in go see Road Dogg, Brian James.’ Road Dogg is the one that tells me, ‘Hey, we’re taking you off 205. You’re permanently on SmackDown now and you’re teaming with AJ Styles tonight and you guys are working the main event against Andrade [Almas] and Daniel Bryan and you’re getting the win on Bryan.’ So, obviously you go from hearing that you’re off for the next four weeks to working a main event program on SmackDown and I’m staring Bryan straight in the face, ‘Who’s ribbing me? Where is the camera?’ That’s how I found out. It was all very at the moment and I don’t know if it was a test and I don’t know if it was like, ‘Hey, let’s throw him in the water and see what happens – not just the water the deep end.’ I don’t know. Someone asked me, ‘When did you know about it?’ I was like, ‘I didn’t.’ They go, ‘Yeah because the last time we saw you compete it was at Survivor Series and you lost the Cruiserweight Championship match, but the next time we see you, you’re wrestling the WWE Champion.’ It’s just kind of like you have no idea where you are at sometimes until you get there and you find out what the show is. I’ll never put words in somebody’s mouth, but there are so many inclinations that I’m having that he’s got more to say about it than he’s letting on. Just for a guy to get plucked out of 205 and get put with him in a program and attacking me backstage after my third week on SmackDown. It’s all very him and man, what a guy to learn from. I can’t say enough good things about him. He’ll never come out and say it, but I have a strong feeling that he’s more involved than he’s letting on. That was a freak out. That was the tag match and there’s no explanation behind it, other than no one bats 100. He wasn’t out of position. It wasn’t like we were rushing on time because SmackDown has to be off. It was none of that. Obviously, when that happened anyone that could see, could see that I was like, ‘Holy, I just landed on his face.’ Luckily when we came back we found out that it was his chin. Still, you could knock someone out easily like that, but it was almost like, as it happened, you just see me kind of trying to make myself lighter, so that I don’t squish him, but I got him. One, you’re thinking, ‘Did I just mess up the WWE Champion? What’s gonna happen? This is my first night. There goes my push.’ You’re freaking out and it was extra stressful because it was a night where we were taping the second SmackDown for Christmas, so I had a match right after that, so I was trying to get mentally ready for that and the finish was that move again. Now, you’re talking about playing games with your mind, ‘Oh, am I gonna land on ‘Cien’ with this one too?’ Luckily, I’ve got some good brothers back there giving me a pep talk, ‘Get your head in the game. He’s fine.’ Literally, they checked him. He was fine. Bryan came and assured me he was fine. I profusely apologized that it happened. Everyone talked and they were like, ‘You realize people get knocked out doing kicks? People get knocked out doing punches. You were doing a backward 450 and you clipped a dude and you didn’t even hurt him. It looked nasty, but you clipped him. Relax.’ Obviously, to me, it was the end of the world, ‘Oh my God!’ Thankfully, he wasn’t injured. Thankfully, nothing came of this & no backlash for me. Obviously, some people are gonna nit pick it like, ‘He’s unsafe.’ I was like, ‘I’ve been wrestling 16 years and I kneed a guy in the face accidentally.’ It wasn’t sloppy. It just happened and I can’t explain why. I thought the jump was good. I thought the rotation was good. I thought his positioning was good. It was just off. Vince has always been very positive feedback. I actually met with him a few times to introduce myself and what I represent like, ‘Hey I just want to let you know that this is my background. This is what I think is cool. This is how I think the company can leverage me,’ so I’ve talked to him before, but this was the first time he gave me very specific direction on how he thought I could make money in WWE. I came back and he gave me feedback about the promo and this and that and he goes, ‘The one thing I wish you would have changed – you’ve got to remember, a guy like you, you’re always fighting from under. You have this rare quality to get actual empathy from the crowd. That’s so hard nowadays. Nowadays people are whatever. I feel like you have the ability to make them go, ‘Man, he’s really taking a beating.’’ He goes, ‘That’s where you’re gonna make your money,’ and he’s kind of like pointing at my chest when he’s saying that. He goes, ‘That’s how you’re gonna make your money.’ I was like, ‘Holy crap,’ and it’s crystal clear direction now. This is what he sees me as, ‘OK, I can do that boss.’ He’s like, ‘Alright, good job.’ That was the most clear, ‘This is what I want from you’ that I’ve gotten. ‘OK, that’s what you’re gonna get.’ I never got that before. We’d go back, ‘Hey guys, thanks for working hard,’ and he’s right back to the monitor [laughter]. This was stand up, look me in the eye, ‘This is what I want. This is what I see you as.’ I’ve got a direct order. That’s what I’ll do.